During the day Freddy Fazbear’s Pizza is a place of joy, where kids and parents alike enjoy the entertainment from the main attraction: the animatronic Freddy Fazbear and friends! But, at night, things start to change and those characters start to go missing! 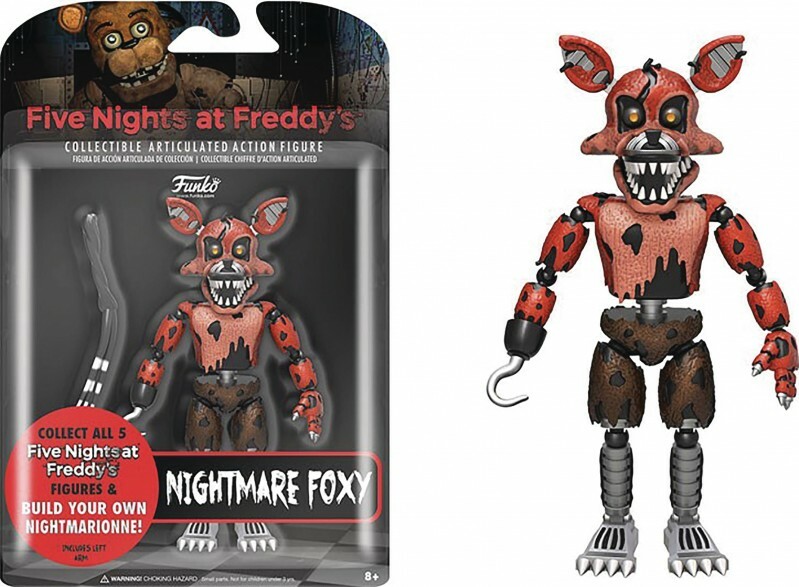 Funko is proud to announce Five Nights at Freddy’s “Nightmare Foxy” 5-inch action figure with build-a-figure accessories. Collect all Five Nights at Freddy’s 5” articulated action figures to create your very own Nightmarionette!